Sculptural Landscapes is a natural evolution of the hand-thrown bullet form. Inspired by Manhattan skyscrapers and Primitive and Oceanic art, the collection fuses polished and raw elements in soaring totemic forms. 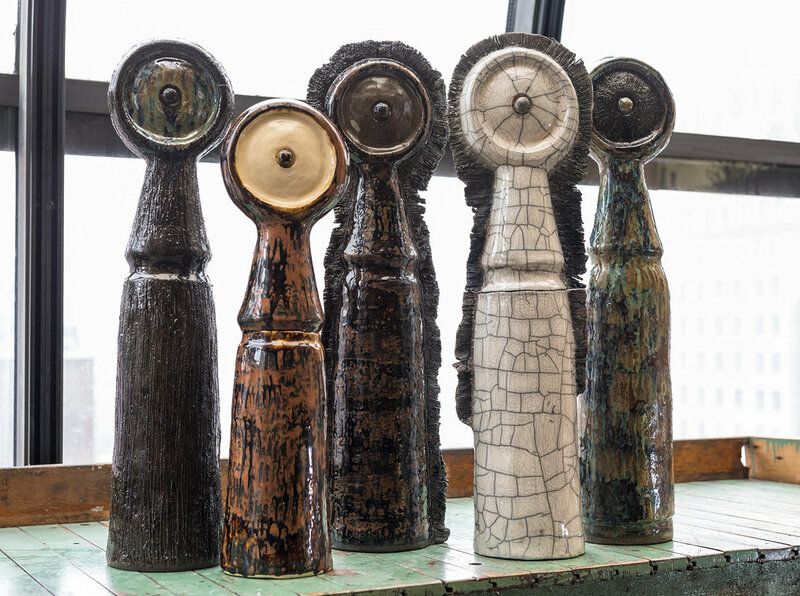 James enhances each piece’s unique personality by altering the surface, adding texture, layering molten metallic and hand-mixed glazes, and utilizing firing techniques like raku.